Below you fill find all funeral homes and cemeteries in or near Muncy. Suburbs of Muncy: Clarkstown, East Muncy, Halls, Huntersville, Moreland, Muncy Creek, Opp, Pennsdale, Seagers. 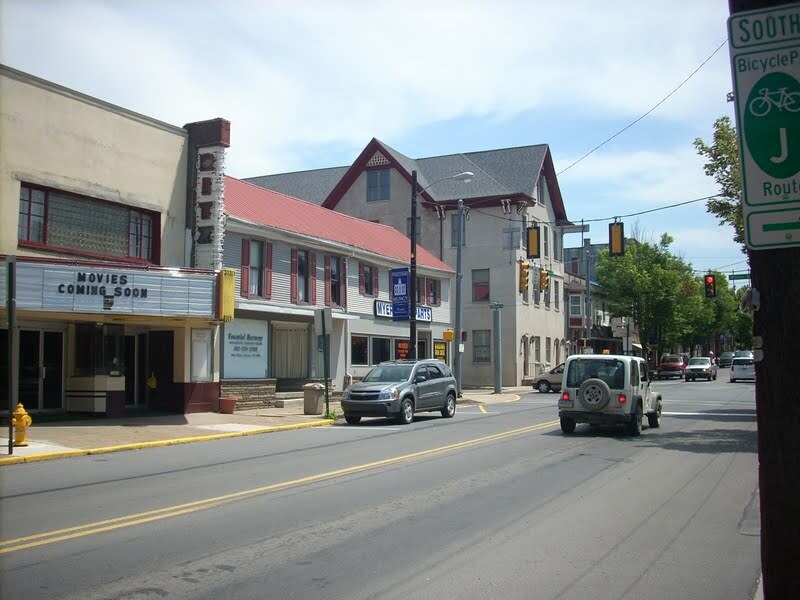 Muncy is also known as: Lycoming County / Muncy borough. Their current mayor is Mayor Edward Dannemann. Zip codes in the city: 17756. Some of the notable people born here have been: Ed Ott (baseball player and manager), and Dawn Best (artist and model). For other places named 'Muncy', please see Muncy (disambiguation).Muncy is a borough in Lycoming County, Pennsylvania, United States. The name Muncy comes from the Munsee Indians who once lived in the area. The population was 2,663 at the 2000 census. It is part of the Williamsport, Pennsylvania Metropolitan Statistical Area. Muncy is located on the West Branch Susquehanna River, just south of the confluence of Muncy Creek with the river. It was revealed on November 9th, 2017 that Carl L Sr Narber perished in Cape Coral, Florida. Narber was 86 years old and was born in Muncy, PA. Send flowers to express your sympathy and honor Carl L Sr's life. It was reported by The Desert Sun on June 15th, 2017 that Elizabeth Blanche Sebesta (Houseknecht) died in Northridge, California. Ms. Sebesta was 93 years old and was born in Muncy, PA. Send flowers to express your sorrow and honor Elizabeth Blanche's life. It was disclosed by Williamsport Sun-Gazette on February 29th, 2016 that Juan L "Jack" Young passed away in Muncy, Pennsylvania. Young was 78 years old. Send flowers to express your sympathy and honor Juan L "Jack"'s life. It was reported by Williamsport Sun-Gazette on February 29th, 2016 that Ruth A Bieber (Craig) passed on in Muncy, Pennsylvania. Ms. Bieber was 89 years old. Send flowers to share your condolences and honor Ruth A's life. It was revealed by Williamsport Sun-Gazette on February 29th, 2016 that Thomas K "Tom" Daniels passed away in Muncy, Pennsylvania. Daniels was 66 years old and was born in Boston, MA. Send flowers to express your sorrow and honor Thomas K "Tom"'s life. It was disclosed on February 19th, 2016 that Willis Gene "Hip" Lupold died in Henderson, North Carolina. Lupold was 62 years old and was born in Muncy, PA. Send flowers to express your sympathy and honor Willis Gene "Hip"'s life. It was revealed by Williamsport Sun-Gazette on February 11th, 2016 that Richard C Jr Andrews perished in Muncy, Pennsylvania. Andrews was 68 years old. Send flowers to share your condolences and honor Richard C Jr's life. It was written by Williamsport Sun-Gazette on February 11th, 2016 that Oney M Jr Wells passed on in Muncy, Pennsylvania. Wells was 32 years old. Send flowers to share your condolences and honor Oney M Jr's life. It was reported by Williamsport Sun-Gazette on February 2nd, 2016 that Maxine Everett (Schrader) perished in Muncy, Pennsylvania. Send flowers to express your sympathy and honor Maxine's life. It was reported by Williamsport Sun-Gazette on January 29th, 2016 that Royetta E Baysore (Hess) died in Muncy, Pennsylvania. Ms. Baysore was 81 years old. Send flowers to express your sorrow and honor Royetta E's life. This log wall ran about twelve feet high from the ground. He chose land west of present day Lewisburg, Pennsylvania. The Indians resisted settler encroachment on their territory by routinely crossing the Susquehanna to raid the settlers. The town was named Pennsborough in honor of the William Penn.The town grew slowly and was nothing but a village for many years. Finally, by act approved March 15, 1826, it was incorporated as a borough.On January 19, 1827, with a population of less than 600, the name was changed from Pennsborough to Muncy. Services will be Saturday at 11 a.m. at Bunnell Funeral Home, Inc., 179 E ... P.O. Box 130, Millville, PA 17846. Friends that are unable to attend may send online condolences to bunnellfuneralhome. com. The funeral will be held at 11 a.m. on Saturday at Grenoble's, 121 S. Main St., Muncy. Officiating will be Rev. R ... One Hospital Drive, Lewisburg, Pa. 17837. Listing all funeral homes in Muncy, Pennsylvania so you can easily send flowers to any location (same day delivery) or find any funeral service. We work with local florists and flower shops to offer same day delivery. You will find budget sympathy flowers in Muncy here. Our funeral flowers are cheap in price but not in value.